Your baby deadhead can be a dancing bear this Halloween. 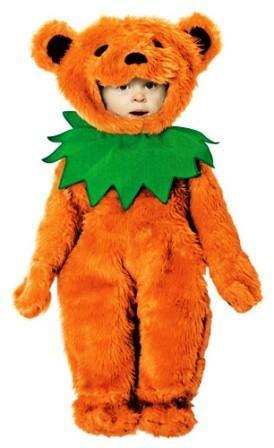 Colorful orange bear costume includes bear headpiece, orange jumpsuit with attached hands, and a green neck collar. Shoes are NOT included. Officially licensed Grateful Dead merchandise. Buy it now for Halloween! 18-24 mos. size.